Authorities are scrambling to investigate an apparent hack on the federal parliament’s computer network. Scott Ryan and Tony Smith – parliament’s presiding officers – have issued a joint statement on a “security incident on the parliamentary computing network” that occurred overnight and into this morning. No data breach was discovered, but all passwords have been reset out of “an abundance of caution”. “Similarly, we have no evidence that this is an attempt to influence the outcome of parliamentary processes or to disrupt or influence electoral or political processes,” they said. “The methods used by malicious actors are constantly evolving. Since 2012, DPS has made substantial strides in strengthening cyber defences for the APH IT networks. 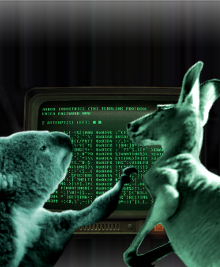 The Australian Signals Directorate (ASD) is working to secure the network. “The necessary steps are being taken to mitigate the compromise and minimise any harm,” ASD said in a statement. Reports say authorities are investigating possible links to China, among other state actors, as the source of the attempt. “Accurate attribution of a cyber incident takes time and investigations are being undertaken in conjunction with the relevant security agencies,” Smith and Ryan said. The parliamentary network includes the databases and emails of all MPs and staff.